When you think of Reiki you usually think of healing the body. You see a vision of a Reiki practitioner working over the body of the client doing their thing. You might even have heard of people practicing Reiki on clients over long distances or over the phone. Reiki is also used on plants and animals. It can be used for anything you can imagine…even building your business! For those of you who do not know what Reiki is, it is an ancient healing art from Japan. 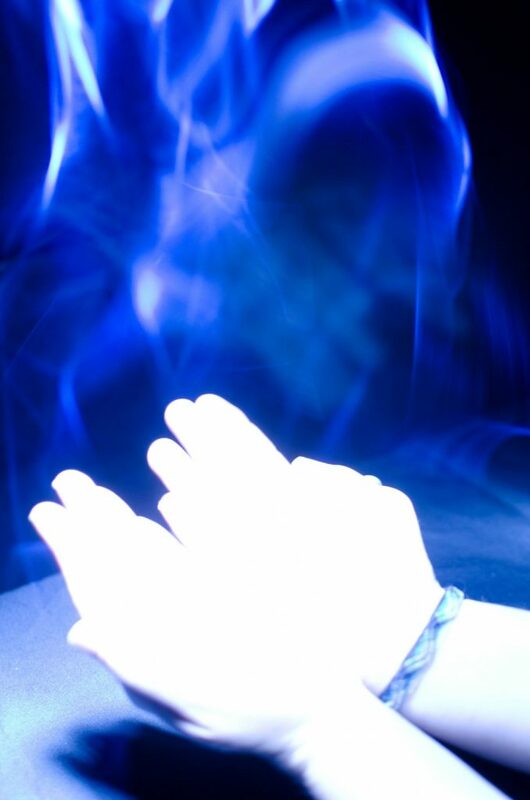 Reiki practitioners are specifically attuned to take in the Reiki (or universal) energy. They are, essentially, just a conduit, a channel, of the Reiki energy. They take in the energy and then transfer it to their client. The Reiki energy is an intelligent energy and knows where to go to be of benefit. This is healing on many levels and can be very powerful indeed. It can help to balance our own energetic systems and realign our energy field. As everything IS energy everything can be affected at an energetic level. In my own experience, I have found that I have effectively increased my business using this energy. I have more clients coming in the door. I have consistently met and even increased my weekly income goal. Itʼs amazing how this stuff works! How, you might ask. Well, I have made it a practice to energise my business with Reiki and magnetise my advertising tools with this energy.One of the keys to loving what you do and being most effective as a doer of what you do is to know, understand and attract your ideal client. It is critical that you have a thorough understanding of who you ideal client is. After you have really defined your ideal client, youʼll have more clarity about who you would like walking through your door. Once you have clarity you are better able to focus your energy on something specific. When you have better focus you are able to manifest what you want much more effectively. Channeling Reiki to your ideal clients, even if youʼve never met them, will draw them to you. You can also use Reiki to magnetise your business cards, any kind of ad you are running or have run, even your business phone number. Sending the Reiki energy to your advertising tools magnetises them to attract your clients to you. Donʼt believe me? Try it! This is an exercise for you in charging and changing your business utilising Reiki energy. Step 1. Start to meditate. I find generating a profound feeling of gratitude and/or love helps to raise your vibration and puts you in a powerful state to transfer the Reiki energy and attract what you want. Step 2. Send Reiki to all your ideal clients that you currently work with. Then send Reiki to all your ideal clients in the world, wherever they may be. Next, send Reiki to all your ideal clients past, present and future. Finally, send Reiki to all the people who need your work. I find that generally, these will be ideal clients. Step 3. Send Reiki to your business cards, ads, anything out there with your name and/or logo. Magnetise these media with the Reiki energy. This will cause your ideal clients to be attracted to you and your work and will also attract people who already know your work and bring you into their awareness to take action. Step 4. Send Reiki to anyone and everyone who has ever heard of you, seen your name/logo, has a business card or has had any exposure to you on any level. Step 5. Release and let the phone ring! I have found this works within a couple to a few days. I do this regularly and have had wondrous results. The best thing is: you have nothing to lose and everything to gain! This doesnʼt cost you anything, but it could change your life. “But, I donʼt know how to do Reiki,” you might be saying. Well, I can help you with that too. I will be offering an introductory Reiki I class Sunday, February 10th from 10-2ish. If you are interesting in learning to do Reiki go to my website: http://connectionjh.com/bliss-bodywork/ and contact me. I limit my classes to 12 people so sign up asap! I would love to hear how this exercise has worked for you! Please let me know your experiences. Go to my facebook page: https:// www.facebook.com/pages/Bliss-Bodywork/229204917124607?ref=hl and leave me your feedback. Good luck and an abundance of blessings and business to all!